McDonald’s Corp. CEO Jim Skinner is retiring and will be succeeded by the company’s No. 2 executive, President and Chief Operating Officer Don Thompson. The Oak Brook-based fast-food company said this evening that Mr. Skinner, 67, will leave the company and the board on June 30 after 41 years. Mr. Thompson, 48, will take the helm on July 1. Credited as one of the players in the company’s 2003 “Plan to Win” turnaround strategy, Mr. Skinner, who also was vice chairman, touted “being better, not just bigger” through remodeled restaurants, longer hours, a broader menu and a global marketing message that highlighted balanced and active lifestyles. Mr. Thompson is a 22-year McDonald’s veteran who hired on in 1990 as an electrical engineer. Born in Chicago and raised in Indiana, he moved into operations and management and was president of McDonald’s USA from 2006 to 2010 before moving into his current post. He was widely considered the frontrunner for CEO and has been credited with the success of the company’s McCafe beverage expansion. 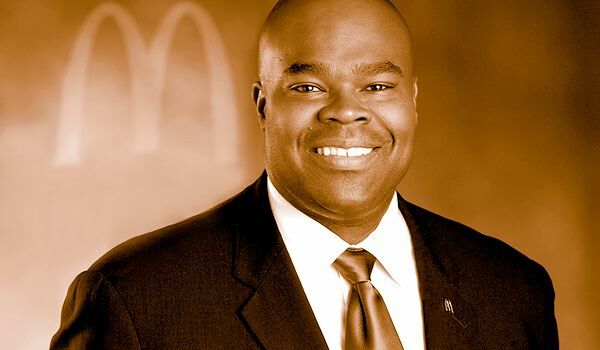 Mr. Thompson is the first African-American to head McDonald’s, the world’s biggest restaurant company measured by revenue. He also is the only African-American CEO of a public company in Chicago and a new addition to the half dozen in the entire Fortune 500. Mr. Thompson joined McDonald’s board in January 2011. He also is on the boards of Chicago-based Exelon Corp. and Northwestern Memorial Hospital and is a trustee of his alma mater, Purdue University. McDonald’s has been roll for almost a decade. Its share price jumped 31 percent in 2011, the most of any of the 30 stocks in the Dow Jones Industrial Index. The stock closed at $96.72 Wednesday, after topping $100 in late December and as recently as March 7. By market capitalization, McDonald’s is the biggest company in Illinois. By revenue, which rose to $27 billion last year, it is in the Top 10. The announcement came just weeks before McDonald’s hosts its biannual worldwide franchisee convention. Earlier this month, McDonald’s said its February sales missed analysts’ targets due to economic woes and Europe’s brutal winter. The company also surprised analysts by warning that the economy could hurt profits. Up till now, the company has been prospered and stolen market share from rivals.